You’ll be crowing from the break of dawn in this brand new, feathery edition from RTG. Win up to 25 Free Spins with any scatter win and a chance of a Fire Claw Multiplier being awarded at the start of the feature. Fire Claw Multiplier prizes are x1 in the 1st Free Spin, x2 in the 2nd and continue to increase on each Free Spin, so your winning chances will be better every time! Celebrate 2017: the Chinese New Year of the Rooster with Kung Fu Rooster. It’s time to sweep away any ill fortune and make way for incoming good luck, with this exciting 12-line slot. With stunning artwork, Kung Fu Rooster features a Wild Rooster and scattered Monkey Give Kung Fu Rooster a try, and ruffle some feathers today! All you’ll need to do is load the game and click play to get started. From there, you’ll need to select your wager and number of paylines (we recommend leaving it at the max setting of 12). Just input your total bet, click spin and take flight! With a little bit of luck, you’ll find yourself with plenty of scatters and wilds. And remember, you can always turn on Autoplay if you just want to sit back and enjoy the ride. 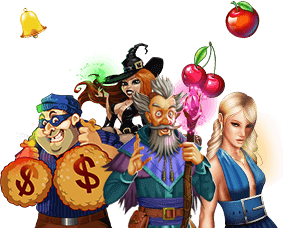 Developing a solid strategy for modern slots games is particularly difficult, because all games are built around a random number generator that ensures no predictable patterns emerge. As a result, the best way to get the most out of your time with Kung Fu Rooster is to evaluate your bankroll and choose a wager that will allow for a solid play session, regardless of whether you get on a hot streak or have a run of bad luck.